Having started his real estate career in 1992, Patrick Buckley currently holds his Broker and GRI designations. He will put his years of experience selling lakeshore, residential, vacant land, commercial, and development properties to work for you. As a child, Pat spent his summers on Leech Lake, and made a permanent move to the beautiful Brainerd Lakes Area over 20 years ago. 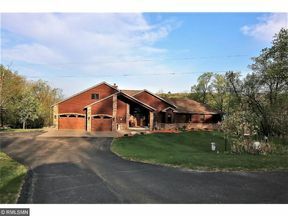 It is the ideal place for anyone who enjoys hunting, fishing, motorcycling, golfing, and simply being outdoors. Pat served in the Army from 1976-1979, and was stationed in Germany for 2 1/2 years of his service. View all 33 of Patrick's listings. View all 39 of Patrick's sold listings.